Fuel Injector Cleaner HQ - Find the best injector cleaner for your engine! What’s the best Fuel Injector Cleaner? If you own a motor vehicle or an engine powered piece of machinery, then I’m sure you want to take care of them the best way that you can. But perhaps you don’t have the technical know-how or the finances for professional mechanic work. Worry no more! There’s a cheap and easy way to keep your engines running great. Hi, my name is Jack. I’m what you’d call a fanatic mechanic and I’m ready to share my thoughts and suggestions when it comes to keeping your mechanical buddies healthy and purring. Whether you own an older model vehicle that is showing signs of bad fuel mileage and performance issues or a brand new machine that you simply want to keep in pristine condition, fuel injector cleaning is an easy solution. To help you take care of your favorite motor equipment, we have put together this all-comprehensive review and shopping guide for all your fuel system cleaning needs. Discover the best fuel injector cleaners, cleaning kits, fuel injector cleaning machines, and fuel additives by reading our reviews; you can even learn how clean fuel injectors yourself by using our guides! Why is it important to clean fuel injectors? Fuel injectors have the extremely important job of spraying just the right amount of fuel into your vehicle’s or motor equipment’s engine. If for some reason the injectors are unable to do their job properly, your engine may start to stutter and due to inefficient fuel use, also suffer from bad fuel mileage. While it can take some time for the fuel injectors to get dirty enough to cause problems, it makes no sense to even wait for the problems to arise. The fuels we put in our vehicles are far from pure. Repeatedly running and shutting down our engines (common when driving in a city) causes a heat soak effect. The fuel that is sprayed through the injectors as the engine is running, will stop flowing when we turn off the motor. 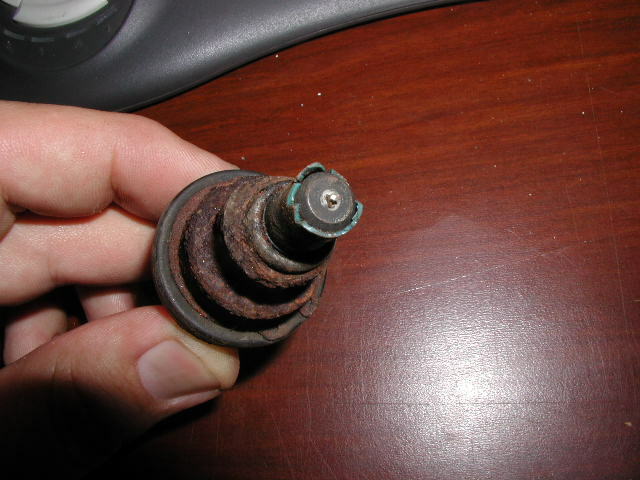 However, some fuel is always left behind in the injector nozzles and the injectors themselves. While most of this fuel residue will slowly evaporate, some substances will always be left behind. Over time, the residue in the fuel that doesn’t evaporate and isn’t flushed away with subsequent fuel flow, will be baked and turned into a hard varnish that initiates deposit formation. Those deposits end up clogging the injectors nozzles as-well as the injectors themselves, and cause the engine to no longer get the exact required air/fuel mixture. And that’s when the trouble starts. Don’t wait until your vehicle is begging for a tune-up. Extremely clogged up fuel injectors may be beyond even the best cleaning liquids and will either require you to get your hands dirty, by manually cleaning or exchanging the injectors, or force you to empty your wallet at the repair shop. Invest a little in regular maintenance using premium fuel injector cleaners as-well as premium fuel in general, and you’ll end up saving a lot of money and effort in the long run. You can be sure that your vehicle will thank you! What makes a fuel injector cleaner great? While the cleaning products technically only have to do one thing – clean the injectors, the truly great products take it a step further. Premium cleaners are designed to mix with the fuel and aside from cleaning the injectors, they also clean the intake valves and the combustion chambers from carbon deposits. The best fuel injector cleaners are not only effective at breaking up even the most hardened deposits clogging your engine, they will also improve combustion power, help increase fuel mileage and lower harmful emissions, while also being cost effective. After-all, if the cleaner costs too much, regular use might be no cheaper than visits to the mechanic. The best product lines also make sure to offer a wide variety of different container sizes, not just for the cost effectiveness, but for ease of use as-well. After all, you don’t want to purchase a gallon of cleaner for a lawn mower engine, nor do you want to maintain your entire line of farm equipment with 5oz. bottles. 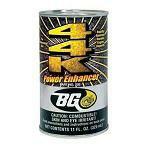 In addition, the best brands are sure to also have products for diesel engines, so no engines goes without help. 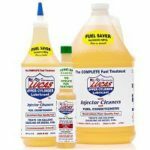 How do you use fuel injector cleaners? Cleaning liquids are generally very easy to use. Depending on the product, you simply have to add some into your gas tank. Usually this is done by running the gas tank nearly empty and then filling up and adding just the right amount of cleaner to create the proper mixture. Though in some cases, the cleaner is added first and then the tank is filled – make sure to study the product labels as some liquids are designed to only work in one way or another. Depending on the condition of the engine and the product, you may then opt for a more aggressive mixture more often, to help clean up clogged injectors, or a more maintenance like approach, adding the cleaner as a part of a regular maintenance cycle. There’s no doubt that it’s always best to prevent the problem in the first place with regular maintenance. make sure to study the informational labels on the product to avoid causing harm to the engine parts. Before purchasing and using a cleaner, make sure to also familiarize yourself with the details of your vehicle. Older model vehicles made before the 1990’s may use a carburetor instead of fuel injection and will not make full use of the cleaner. Other vehicles use diesel engines that operate on a slightly different fuel injection principle and may need different, more specific cleaners or a different maintenance schedule all-together. In general, diesel engines have injectors that stay clean for longer; though regular maintenance is still a good idea. If you own a diesel engine, check out our list of the best diesel injector cleaners! Make sure to purchase the most suitable product for your vehicle to get the greatest benefit! Check out our TOP 3 reviews of the best cleaner products on the market. This stuff just doesn’t mess around. The great people at Lucas Oil have produced a really good product here. It is extremely versatile and suitable for just about any engine out there, perfect for easy to perform, time-saving maintenance. When you look at this product a little closer, it’s easy to see why it’s so good. The product is designed to be extremely safe to use and thus contains no solvents, alcohol, kerosene, diesel fuel or anything else that could damage engine parts. It consists of various super slick oils and additives which are designed to lubricate the various systems it flows through, as-well as helping break up gunk in the injectors. This allows the fuel to burn more effectively within the engine, reducing fuel consumption. It is also able to replace the benefits of leaded fuel without the negative side-effects, so it’s great for use in older vehicles that require leaded fuel. And because it also neutralizes the harmful effects of low sulfur diesel fuel, it is similarly great for use in any diesel engine. 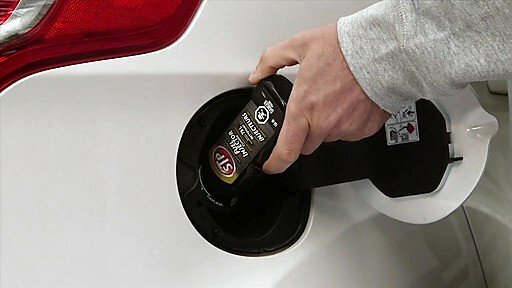 Here’s a great video showcasing how this additive increased MPG by about 20%, now that’s amazing! One of the methods that this product uses to achieve these results has got to do with replacing polymers. Basically, most low sulfur diesel fuels and gasolines have had their polymers removed to comply with the government regulations for reducing fuel fumes in the air. While the goal was achieved, this also caused the fuel to become less lubricated and thus less efficient. We have cleaner air, but less useful gasoline. Lucas fuel treatment replaces those lost polymers with a specific concentrate that has none of the negative side-effects of the polymers. Instead, the concentrate works as a lubricant that makes the fuel slicker and more efficient and powerful. Not only will the increased fuel efficiency result in lowered fuel consumption, it also increases power while reducing emissions. Slicker fuel also helps to lubricate the cylinder walls and rings, prolonging their life-span. And not only that, intake valves, pumps, carburetors, injectors and compression rings are also lubricated. An absolute must for rotary engines. Any way you look at it, this injector cleaner is a winning product. And don’t worry about shelf life, it lasts just about indefinitely. Pour Lucas Fuel Treatment directly into the fuel tank. 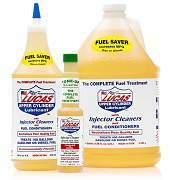 The Lucas Fuel Treatment is without a doubt one of the best products on the market. 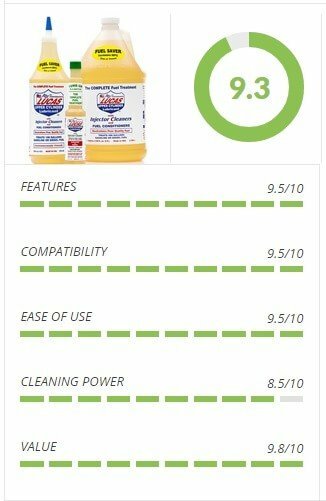 No wonder it is our top pick when it comes to injector cleaners. Many cleaners make aggressive claims about their effectiveness, but most fail to deliver. Not the case with this Lucas Oil product. Whether you are looking to clean your gasoline or diesel engines because of clogging symptoms or simply looking for a fuel additive to give your engine a little oomph, this is the product to go for. Pick the suitable container size for the amount of fuel you want to treat and enjoy the benefits! The Berryman B-12 Chemtool Carburetor/Fuel Treatment and Injector Cleaner is a state of the art product that uses the Berryman exclusive HEST or “High Energy Solvent Technology”. This technology is designed to pack a real punch when it comes to cleaning gasoline fueled motor parts; none of those weak mineral spirits or kerosene that many other products use. Unfortunately, due to the strong nature of this solvent, this B-12 product is unsuitable for use in Diesel Engines and can degrade their performance…. 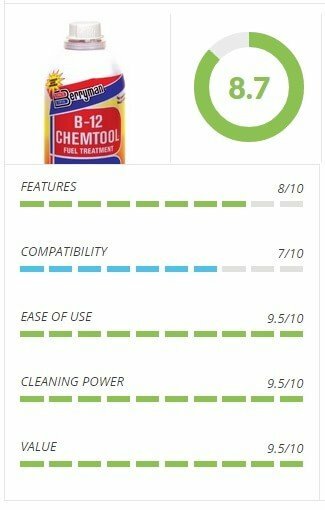 The Berryman B-12 Chemtool Carburetor/Fuel Treatment and Injector Cleaner is a product designed to clean even the most clogged up fuel injectors and other parts of the fuel system. The patented super strong solvent is so potent that you actually have to be careful not to use too much and that’s saying something. Sea Foam fuel injector cleaner products are probably one of the most well known in the whole industry. Having been around for more than 70 years; The Sea Foam company has had plenty of time to refine their products to the highest standard imaginable. There is little that this Sea Foam Motor tune – up product cannot accomplish and for an affordable price to boot. 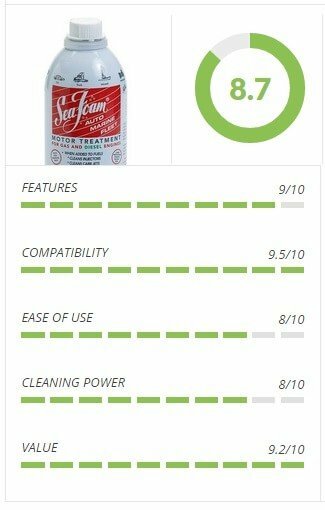 It may not be the strongest cleaner out there, but its versatility is hard to beat. Being able to apply the product in so many different ways and for so many different engines, goes a long way towards providing the end user with more options on how to care for their equipment. The Sea Foam Motor Treatment is a common sight in repair shops and garages across the country and for good reason. It’s both affordable and versatile; you can use it on your gasoline or diesel engines and it’s suitable for not only cleaning tasks but also for fuel treatment that helps with lubricating the engines and protecting them from wear and tear. Sea Foam offers products that range from 12 oz. aerosol cans all the way up to 1 gallon jugs. Buy in bulk to save cash or test out a single can to start with!